However, with thousands of Android apps available to download, it can be hard to choose the most useful. To help you out, we have collected 25 Android apps that you shouldn’t miss out on as a designer, developer or freelancer. Snap. Edit. Share. Smile. Photo magic. This app helps you to find the right color combinations. The app can be downloaded as demo version for free and the full version can be purchased for US$3.00. This is a free app which is designed to install beautiful fonts on your phone. It allows you to download hundreds of fonts directly to your phone. You can choose from a large list of fonts, preview them and even compare them to get the best one. The app is available for US$2.94. This app is a simple and convenient time tracking on the go. For all the freelancers that work by hour, this is the best app to download. Track your daily routine and know how much time you spend on each task. The app is free to download. Evernote is a very handy app for freelancers. The app can be freely downloaded from the Google Play Store. With WordPress on your phone and tablets, you have the power to publish. The app makes it very easy to create and consume content. You can write, edit and publish posts to your websites. You can download this app for free. Programming can be very hard for many developers if done on phones. This is one of the favorite apps for developers and programmers who like to work through the phone. You can create a whole website from your phone or tablet. It gives you the advantage of not having to deal with an FTP server all the time. Fresco is a very easy-to-use painting app that features filters, layers and more. You can create digital artwork on your phone or tablet. With tons of brushes, Fresco brings a real drawing experience to your Android devices. The app is available to download for US$3.55. 13. Skitch – Snap. Mark up. Send. If you see something that gives you an idea, use Skitch to snap it, mark it up with simple tools and send it quickly. You can share your thoughts with others instantly. You can use Skitch for many reasons such as: Events, School, Home and for Fun. The app is free to download for your devices. Skype is very useful for all freelancers. Millions of people use Skype to stay in touch with the people that matter the most. If you are working with other freelancers that are living on the other side of country or even world, Skype makes phone calls very cheap. The app is free to download. When you want to stay update with the most expert designs and topics from around the world regarding the Web, TweetCaster for Twitter is the app for it. You can use multiple Twitter accounts and post simultaneously on Facebook and Twitter. The app is free to download for your mobiles and tablets. Discover new things about typography or organize your knowledge in the field of letters. Typomapp is a great approach to learning the art of typography. The app is updated continuously so that you can read new facts and figures about typography. The app is available to download for US$1.45. This app is especially designed for the beginners that are curious about learning the latest technology related to HTML5. The app also includes syntax with all the details and explanations regarding tags. The app is free to download for your Android devices. This is a picture app that allows you to edit photos with filters and effects. The app is free to download; however, the Pro version is also available with many more features and no ads. 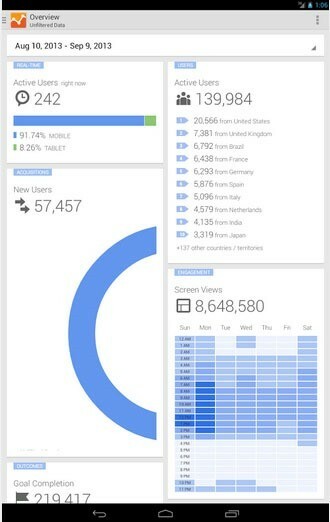 With this app, you can access all your Google Analytics Web and app reporting profiles through your Android devices. Get access to your analytical data from anywhere. Download the latest version of this app for free and keep an eye on your summary statistics from your home or office. 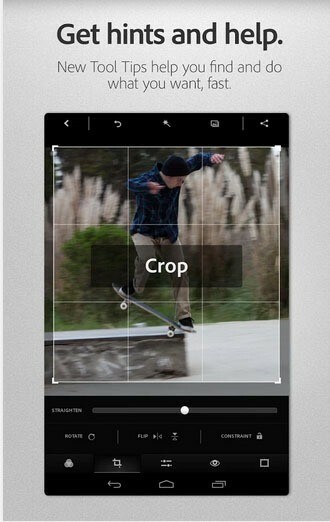 FxCamera is an easy and creative camera app for your Android devices. It has more than 30 filters to choose from. Share your photos among your friends and interact with people from all around the world. Instantly share your photos on the Twitter and Facebook. AndFTP is a FTP, FTPS, SCP, SFTP client. It can manage several FTP configurations. It can be used with both device and FTP file browser. It allows you to download, upload, sync, and share with resume support as well. The app is free to install on your devices. Mindjet is the best way to visually capture and organize information. Brainstorm your ideas, take down notes and track tasks from the convenience of your Android device. You can take your work with you and access it from your Android devices. You can also use keywords to organize and sort your Mindjet files. The app is free to download for your Android mobiles and tablets. This is a perfect app for all the freelancers, designers and developers who wish to showcase their work to anyone without having any Internet connection. It allows you to customize your portfolio and decide what work you want to show and how you want to show it to the people. The app is free to download for your Android devices. So, this was the list for the 26 Android apps that you shouldn’t miss. All these apps are a must for designers, developers and freelancers. The list can go as far as you can imagine; however, I tried to present you the best apps that you should use.